ADEY Professional Heating Solutions is the UK’s leading manufacturer of magnetic filters for the maintenance and protection of central heating systems. ADEY has trusted John Guest Speedfit’s push-fit technology to enhance their magnetic filter performance by allowing installers to fit the product in less than a minute. In relation to the need for quicker installation time ADEY made contact with John Guest to see how the push-fit technology could be best incorporated into the outline design. The engineering teams of both companies collaborated, from the R&D stage, in order to manage the integration of the selected John Guest Speedfit 22mm plastic half cartridge technology. 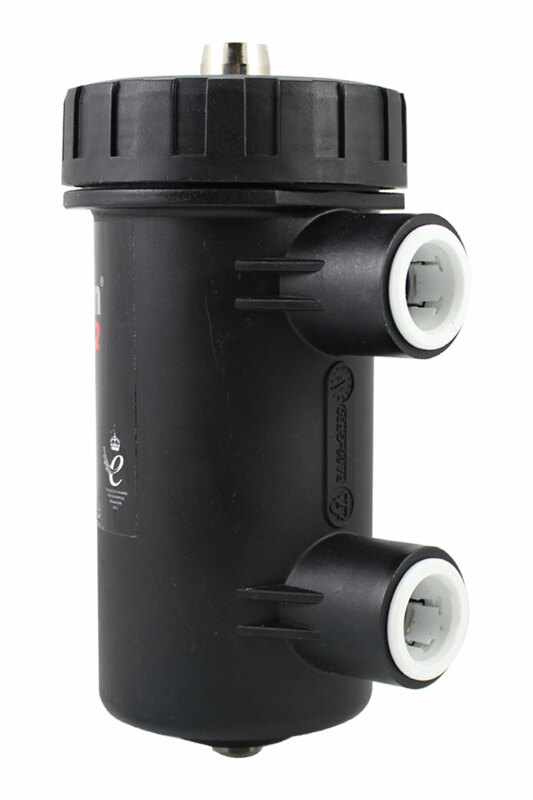 Thanks to the utilisation of the John Guest push-fit concept, ADEY’s magnetic filter delivers a quick installation feature, which also allows the assembly process to be improved, with installations taking no longer than one minute to complete.